A whole new world of therapeutic applications and clinical results – this is our LEONARDO® laser system. 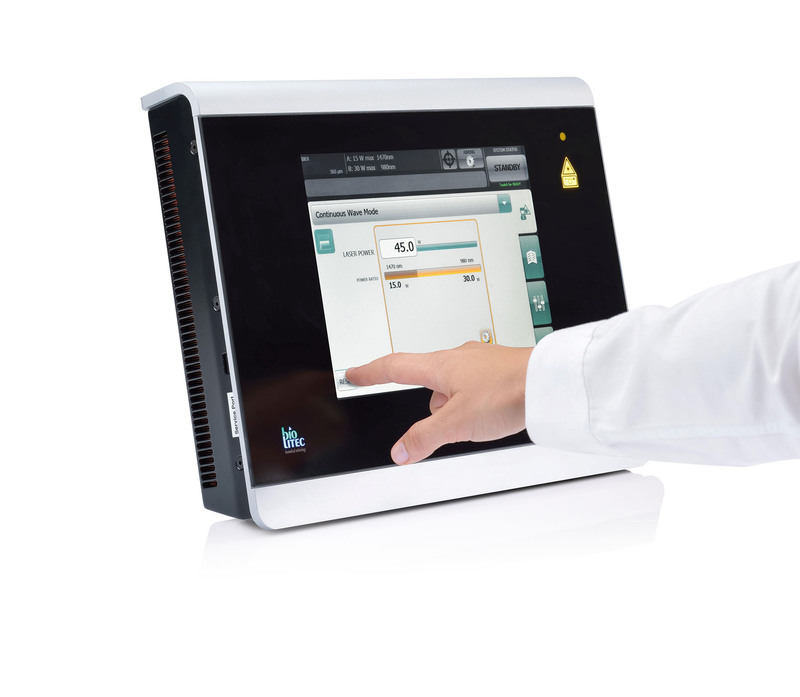 It’s the most versatile and universal medical laser system in the market today. The LEONARDO® laser is designed to work in perfect combination with a broad spectrum of special medical fibres and application kits developed by biolitec®. biolitec® is one of the world’s most technologically advanced suppliers of fiberoptic products. The biolitec® treatment methods are routinely performed and validated in highly respected medical centers worldwide and are the number one choice for treating a wide variety of diseases and medical conditions. biolitec® presents the LEONARDO® laser – the most versatile and universal medical laser in the market today. This highly compact diode laser features the combination of two wavelengths, 980 nm and 1470 nm, offering a variety of tissue interactions. For open and endoscopic procedures with contact or non-contact delivery options. Each wavelength can be individually selected or blended together to offer the perfect desired tissue effects such as incision, excision, vaporization, hemostasis and coagulation of soft tissue. For the first time the clinicians can perform laser surgery selectively, with settings individually tailored to the tissue type and the desired tissue effects and thus corresponding to the therapeutic needs. LEONARDO®’s intuitive 2D Power Control™ enables the user to choose a combination of different wavelengths and power settings with a simple touch of the screen.